Sublime Text is the cross-platform source code editor with 22 different visual themes having option to download additional themes if required. It natively supports many programming and markup languages. It is mainly written in C++ and Python. Sublime Text 2.0.2 was released on 8 July, 2013. 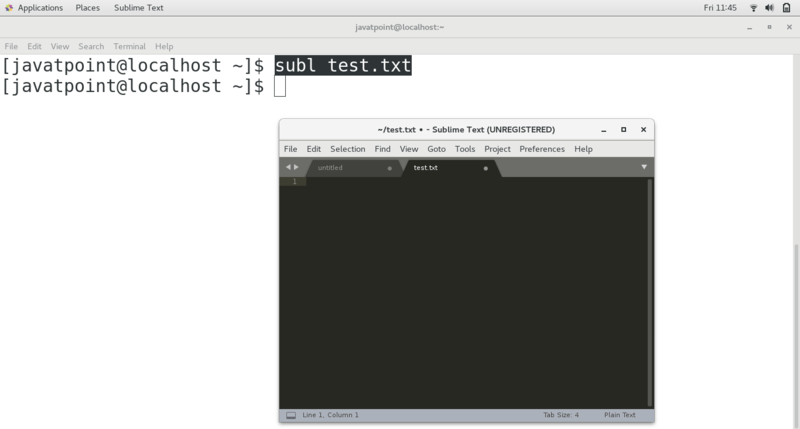 In this tutorial, we will install Sublime Text on CentOS. Sublime Text repository is not imported by default with CentOS7 Yum repository. We have to use the following command to import. 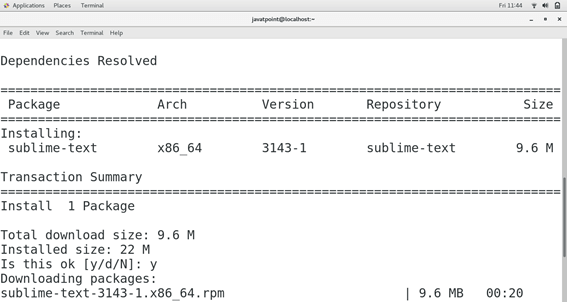 The imported repository needs to be added to Yum package manager. Use the following command to accomplish this task. 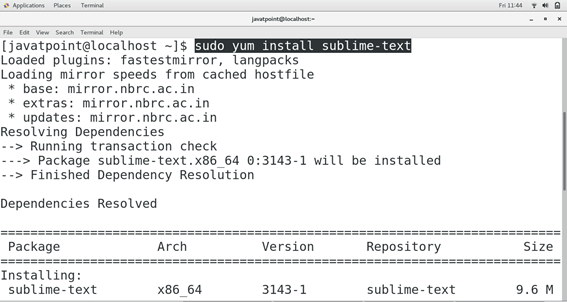 Now, Sublime-Text is installed on our CentOS. 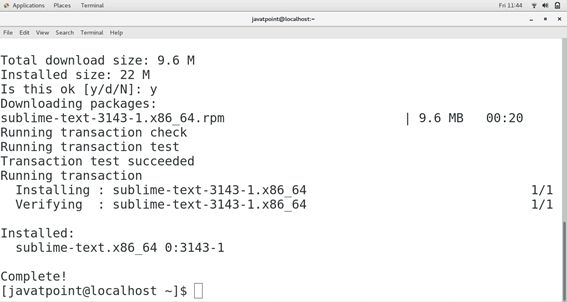 We can check whether is working fine or not by typing subl <file-name> on terminal. Hence, we have successfully installed and get started with Sublime Text.